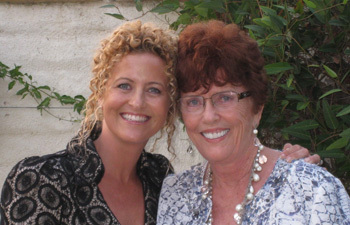 Jane Nelsen, Ed.D, MFT, and Mary Nelsen Tamborski, MA, IMFT are happy to announce their association with Roots and Wings Counseling and Consulting in La Mesa, CA where they are now accepting new clients interested in marriage, family, individual and group counseling, and parent coaching. Mary and Jane are also available for speaking engagements and parenting classes in the San Diego area. Hear the whole truth about Positive Discipline: Two Generations. You will also learn many Positive Discipline Tools for Ending Power Struggles while Teaching Children Valuable Social and Life Skills and why Couples who parent together, stay together. Call 858-254-9378 to give yourself the gift that can change your life! We are forming a Positive Discipline Coop that will include a website listing all Positive Discipline facilitators, therapists, coaches, classes and workshops in San Diego County, as well as articles and helpful hints.